Schedule an RII Speaker Today! When I was a young boy my parents drilled into me good habits such as brushing my teeth before I go to bed and when I wake up in the morning. As an adult I daily brush my teeth every morning and before I go to bed. I don’t really think about it a lot, it’s a discipline, and I do it as a matter of habit. It’s a good thing. As I minister around the world I have noticed that many sincere, good-hearted followers of Yeshua are having real difficulty living a victorious, fulfilling and fruitful life in Yeshua. Many of these dear brothers and sisters have something in common. They have not developed the spiritual disciplines and habits needed to live out and practice the Word of God in their everyday lives. As a result they are unable to fully appropriate for themselves the blessings of the New Covenant. They hear the Word, they believe the Word, but they do not have a strong bridge between what they believe and what they actually practice? There is a gap between what they believe and what they live. They believe prayer is important, but do not actually make prayer an important part of their daily lives. They believe God gives them peace and joy, but too often that peace and joy is not manifest in their daily lives. At times, we human beings can also deceive ourselves. I’ve been there! We can think we are doing the Word of God simply because we agree that it is true and good. Let’s use the example of prayer again. We can agree that prayer is good and important, and simply because we agree we think we are actually developing a strong prayer life, when in practice we rarely pray. Oy! Another problem! Good news though, there are solutions! God has not failed. He has blessed us in amazing ways through our Lord, Messiah Yeshua. Spiritual disciplines/habits done in the right way, with the right attitude, can help us more fully take hold of the victorious, fulfilling and fruitful life God has prepared for us. Of primary importance is the spiritual discipline or habit of a regular, preferably daily, ‘Quiet Time’. This is time we set aside to read the Scriptures, worship God, and converse with Him through prayer and listening. This is key to knowing God through His Word. After all how can we do what He says, if we don’t know what He says! Thirty-eight years ago, as a new believer in Yeshua, I started carrying in my pocket index cards with Bible verses written on them. I would pull those cards out a few times per day and read them to myself. My goal in meditating on those verses was to have my mind renewed, and be intentional about putting them into practice with God’s help. One passage of scripture that to this day is very important to my walk with the Lord is Philippians 4:4-8. I call this my Philippians 4 spiritual discipline. The Philippians 4 spiritual discipline helps me to appropriate into my daily life the good things God has prepared for me. I am regularly/ habitually checking myself throughout the day to see how my life is lining up with this passage of Scripture. rejoicing in the great love, grace and mercy of God? conscious of Yeshua being near, being with me to help, teach, empower, guide, comfort? spending my time worrying and being anxious, or am I praying? focusing my thoughts on good things? It’s part of life to see the negative, the bad, but we need to focus on the good like Philippians 4:8 says. And, do I have His supernatural peace and a positive attitude in all circumstances, including the most difficult ones? Over time this spiritual discipline became a good habit, just like brushing my teeth. I did not need the index card any longer. I hope this blog enables you in some small way to take hold of the love, victory, joy and peace of Yeshua more often and more fully. Sign up & Get your FREE eBook TODAY! Holocaust Survivor, Lev, recently celebrated his 100th birthday. He shared this special message with Rabbi Stewart and the RII team just after his 99th birthday. Holocaust Survivors often feel lonely and forgotten. 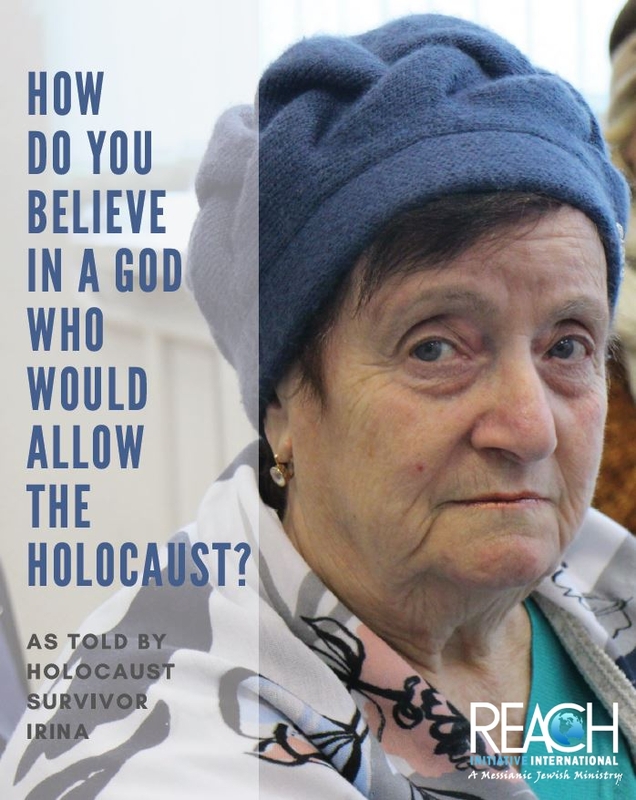 Watch and hear Holocaust Survivors share from their hearts how together with you we are bringing them hope and joy. Orphans, hurting children, the elderly and impoverished families are being helped and loved on in the name of Yeshua through our Project 58 Initiatives. Through our Compassion for Orphans initiative, it is our mission to be an agent of hope and healing to abandoned children.